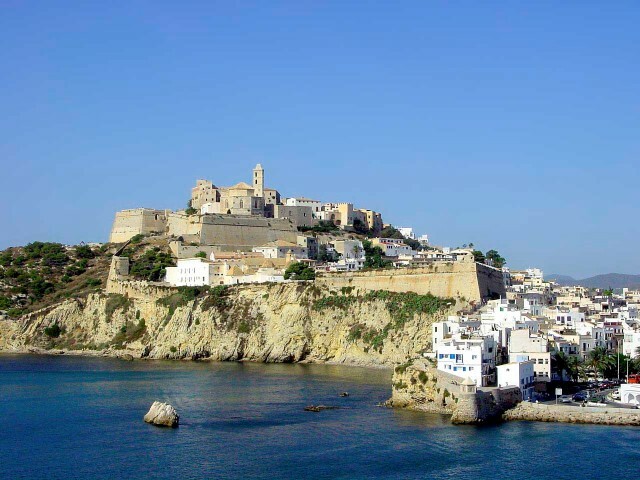 The smallest but most notorious member of Spain’s Balearic Islands,Ibiza has carved itself a mighty reputation as an island of excess. Housing some of the largest, brashest and most colourful clubs in Europe, this bizarre and very nocturnal party heaven is a place where everything goes. International DJs vie to play here, film stars and models make sure they are ‘seen’ among the hoi polloi, and local fishermen and farmers simply get on with ignoring them all, just like the generations before them. After all, hedonists and ‘free thinkers’ have infiltrated the island for half a century now. All this excitement takes place on a plot of land about the size of the Isle of Man — although with Ibiza’s 300 sunny days each year, there’s no danger of confusing the two. 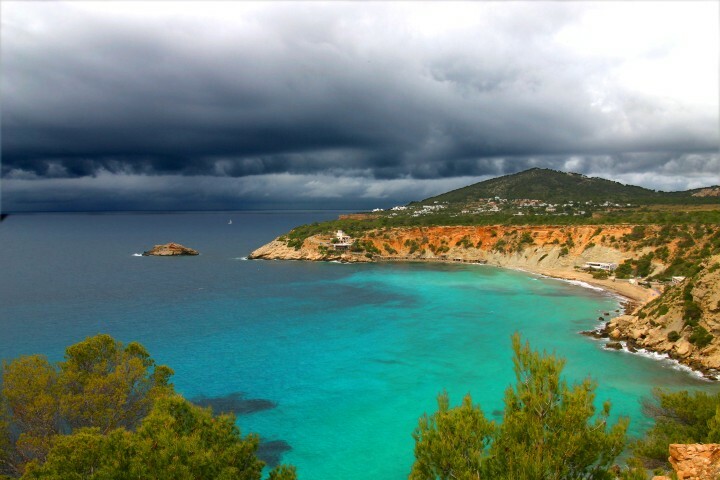 Most of the rain saves itself for October through December, and August usually braves each day without a drop, making Ibiza a year-round destination, even though the island only really cranks into gear for the ‘party season’ (June to September).You’ll have to be a bit more intrepid to arrange a trip outside this time. Ibiza has, undeniably, one of the best club scenes in the world. The venues house ridiculously large capacities, with interiors boasting unrivalled sound systems and décor. Most cater for the English tourist, although others, such as El Divino and Pacha, draw a more European crowd. The overload of promoters means every night of the week is a BIG night for the major clubs — Amnesia and El Paradis included. Nights are as long as the days here; most clubs don’t even open until midnight, only really getting going at breakfast time. And the entrance fees aren’t cheap (£25-£30), so you’ll want to make the most of it. And just when you think it’s all over, the next party starts. 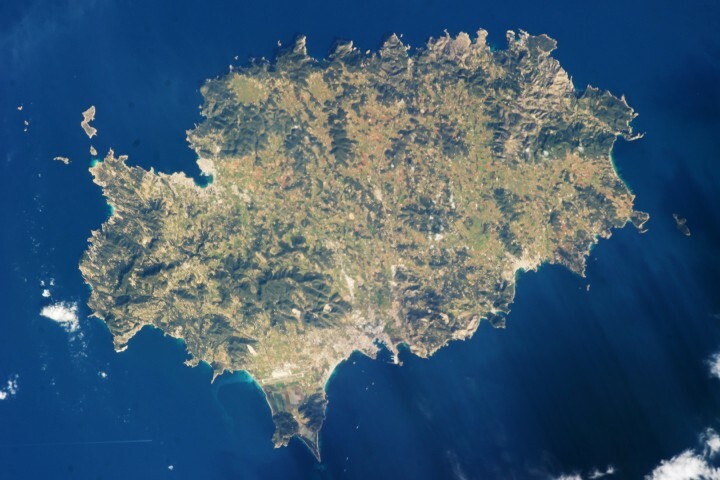 Many head to Space on Playa d’en Bossa to dance beneath the incoming aeroplanes for that extra bit of ‘Ibiza experience’ to boast about back home. 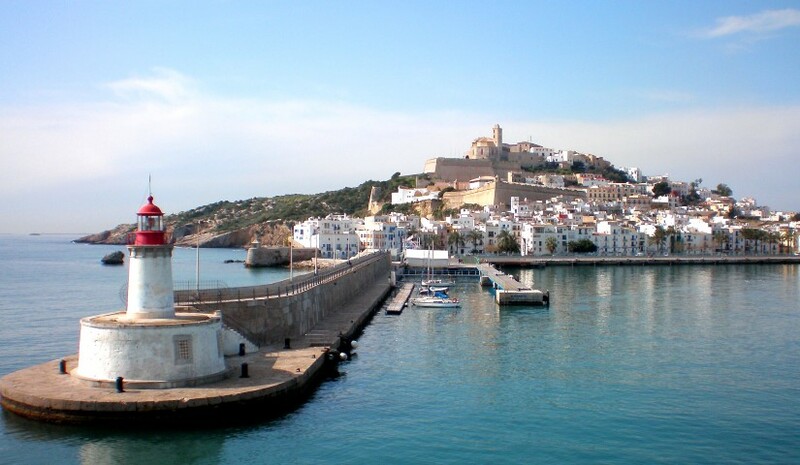 In terms of accommodation, Ibiza Town on the east of the island is an obvious place to base yourself. 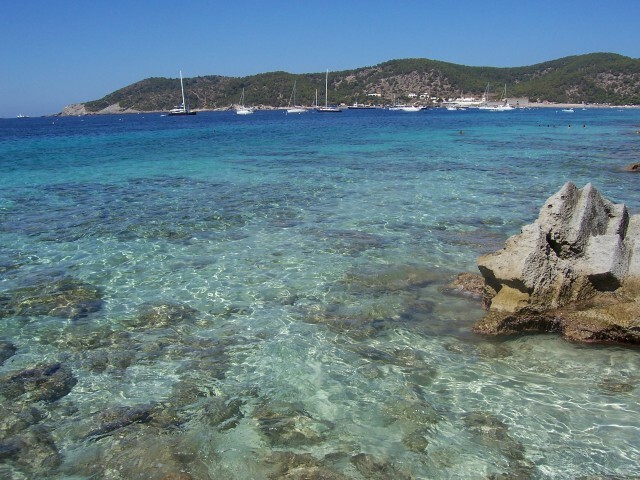 It’s only a short bus ride from two great beaches, namely Ses Salines (white sand, crystal waters, pines and dunes) and Es Cavellet(equally beautiful, and particularly popular with the gay crowd). It is crammed with shops, restaurants and bars that have a lot more style than their counterparts in the second city on the west coast, San Antonio, and if you’re lucky you might even spot a celeb or two at the (pricey) Rock Bar. If you rent your own wheels, the town also makes a good launch pad for the wealth of cove beaches — or calas — dotted around the west coast. Few get as crowded as the trendy pre-party stretches of sand, and there’s also less pressure to cavort around in designer bikinis, holding your stomach in all day. 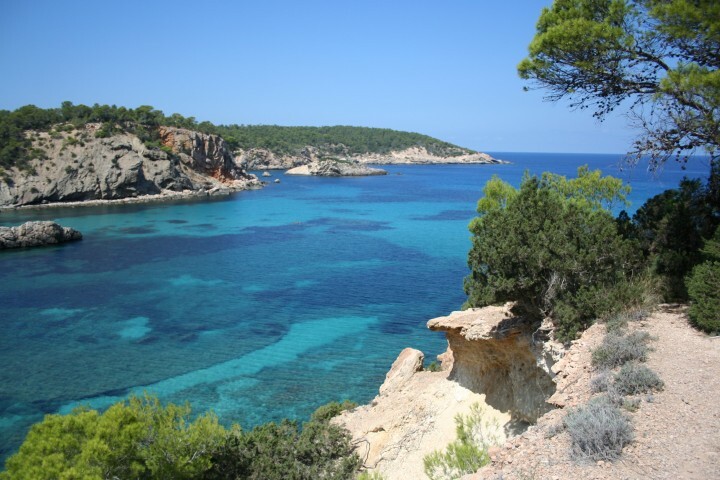 If you wind up in San Antonio and want to avoid the worst of Brits abroad, again, head out north or south for quieter beaches and decent local fish. Back towards Ibiza Town, the Cova Santa is worth a visit — if loads of stalactites 17 metres underground interest you — but there’s little inland to offer the visitor, unless you happen to befriend a wealthy resident with a mega villa.